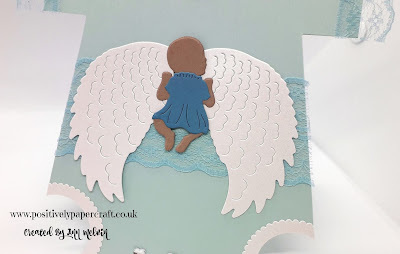 For the Blue Baby Boy card i put the Angel wings on the outside of the card & cut the Dress out of Blue card. 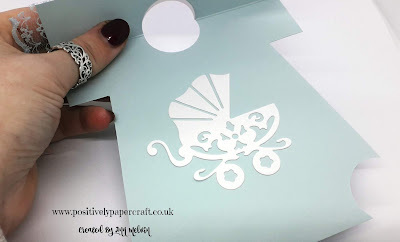 Inside i used a gorgeous Pram Die that again was from my AlinaCraft Design Team package. Its such i cute little Die & i think it adds a nice touch to the card. CARD STOCK MEASURING 11" X 5 1/4"
MEASURE DOWN BOTH SIDES @ 1 1/4" & THEN MEASURE IN 3/4"
FOLLOW THE INSTRUCTIONS AS SHOWN IN MY YOUTUBE TUTORIAL. You can find the link to my video at the end of this blog post. If you click the description or the 'see more' on the video it will give you all the links to the Dies that i used. I will be back again very soon with another tutorial.